From time to time someone asks, “Who was Roller?” or “Why do we have the Brown Award?” Before responses to such questions get even fuzzier than they are now, I thought I should at least give my version of the answers. Joe Platt gave us considerable information about all the early faculty but there are missing details that might some day be of interest. So here are a few thoughts to fill in the record of the first few years, based almost entirely on my own personal recollections. I was completing my graduate work at Caltech when Joe and Jean came to Claremont My first recollection of the news that a new college of science and engineering was being added to the Claremont Colleges came from Paul Routly. Paul and I had worked together in Bob King’s f-value lab at Caltech before he (Paul) accepted a faculty position in the physics department of Pomona College. At that time I was beginning to look for a teaching position in a liberal arts college and therefore did not find an “engineering school” particularly attractive. However, when I got a call from Joe Platt suggesting that I make a visit to Claremont, I thought I had nothing to lose by accepting his invitation. It seems that Joe had heard from is mend Bob Bacher, then heed of the Physics Department at Caltech, that I might be interested in a small college teaching position. Sometime after meeting Joe I turned down an offer from Oberlin College, much to Louise’s dismay, and accepted Joe’s offer to be one of the founding faculty of HMC Joe had already found senior professors for other departments and was on the lookout for a senior physics professor. In the spring of 1957 he made contact with Duane Roller who was then working as an educator for the Ramo Wooldridge Corp. in L.A. Duane had been a well-known professor of physics for many years at Hunter College and had won the Oersted medal for his outstanding work over many years as editor of the American Journal of Physics. I had never met him but knew his name well because of the textbook by Millikan, Roller and Watson. For years that book was used as the introductory physics text at Caltech and I had taught Caltech freshmen from it as a graduate student in both 1949 and 1950. It seems that Duane had done most of the writing of the book while Watson provided the historic pictures and Millikan endowed it with his famous name. Duane had always wanted to write a new edition of that book and saw HMC as the ideal place to both teach and write. When Joe asked me what I thought of getting Duane to join us at HMC I gave my 100% endorsement. Jack Waggoner, Al Focke, Eldred Tubbs, Pop Edwards, Bob Wolf. Thus Duane Roller became the first senior member of the physics department but he declined to take on the position of chair. (Duane used to say that the highest success one can attain in academia is to make full professor without also becoming a department chair.) Joe told me that he (Joe) could act as chair and might even teach a course now and then, so with Duane’s appointment the physics department was off and running. Duane and I got together at the Faculty House during the summer of 1957 and planned the freshman physics course and lab. That consisted primarily of ordering some Cenco and Welch equipment, which was delivered just shortly before classes opened in the fall. I worked up a lab manual while Duane prepared the first lectures. In those lectures he spent several weeks telling the history of physics starting with the Greeks. I am not sure the students appreciated all that historical background but I found it quite interesting. The lectures were given in what was then called Pitzer North on the CMC campus. That building still exists but is now called Adams Hall. All of the faculty as well as Joe and the other administrators had offices on the second floor, so we were a tight community. Also, we got to know many of the CMC professors and often joined them for coffee at the next-door CMC student union. When Richard Feynman came one evening for his first talk to our students, at the invitation of the one girl in the founding class, Jenny Rhyne, he first had dinner with “the girls” at Scripps and then came, a bit late to our lecture hall for his talk. (It seems he had been talked into playing the drums at Scripps and enjoyed it so much that he did not want to stop.) Afterwards, a group of us adjourned to the CMC student union coffee shop for a less formal discussion that went on until rather late that night. After the first series of lectures Duane and I switched off on the lecturing and each of us ran a couple of lab sections. There were 48 students in the class so we ran four sections of lab with 12 in a section. That used every piece of equipment that Duane and I had ordered the previous summer and we had no spare parts of any kind. Fortunately, the equipment was brand new and worked well for the first few years of the college even though we had no shop facilities and very few tools. We also had essentially no demonstration equipment but managed to put together a few demonstrations out of Welch apparatus and stuff that I stole from Caltech. As I think Gerry Van Hecke will verify, Duane was something of a terror in recitations. He always sat in the back of the room while “victims” stood at the board trying to work through homework problems and questions put to them by Duane. It was closer to a Ph.D. oral exam than a typical recitation. I can still remember Dan Milland, son of the actor Ray Milland, asking me if he could switch into my recitation section because we felt intimidated by Professor Roller. Dan survived the first semester but left HMC before the end of the second semester. I put in some very long hours that first year but felt by the end of it that we had taught the students a fair amount of physics. It was obvious that with more courses coming up the second year we needed more physics faculty. Joe felt that it would be helpful to have an experienced physics professor to develop the sophomore course while Duane and I refined the freshman course, so he went out looking for someone to play that role. He was also on the search for another junior faculty member because the development of a sophomore E & M course and lab required more manpower than one person could handle. By the spring of 1958 Joe had located Thomas B. Brown at George Washington University and had almost persuaded him to come to HMC. When I attended a meeting of the APS in Washington, D.C., early that summer I met Tom and answered his many questions about coming to a new and relatively unknown college on the west coast. He accepted Joe’s offer as a part-time, visiting professor, and what a Godsend that was. With only a couple of months to work, Tom set up a first-rate lab for our sophomore course and that fall did all of the Ph. 51 lecturing. I also visited Harvard while in the east that summer and there met with Bob Ward to discuss his appointment to HMC as a junior member of the physics department. Bob was just finishing up his Ph.D., had done some teaching as a graduate student and was eager to get started on a teaching career. We hit it off well right from the start and have remained in touch with each other to this day. With those two appointments and some hard work that summer it seemed that we were in good shape for HMC’s second academic year. But then disaster struck. While Bob and I sat in the back of the lecture hall, Duane began his second Ph. 23 lecture, once again covering the history of physics. I noticed that all through the lecture Duane seemed rather hesitant, which was very unusual for him. Finally he got to the end of his talk, dismissed the class and, as he started for the door that led to the lecture prep room, collapsed. Bob and I, plus some students, rushed to his side and managed to get him on into the prep room behind the lecture hall. He was conscious but vomiting and obviously very ill. While Bob hurried to a phone I made Duane as comfortable as I could on the floor of the prep room and assured him that help was on the way. When I said that we would get him to a hospital he insisted that he did not want that. He wanted to go to his home, a house on the HMC campus where Marks Hall now stands, and absolutely refused to be taken to the hospital. Bob soon returned, saying that he had talked with both Duane’s doctor, Gabe Smilkstein, and with his wife, Doris. Others helped while we got Duane into a car and quickly to his own bedroom. Gabe arrived almost simultaneously and immediately knew that Duane had suffered a serious heart attack. Never have I seen a doctor work so fast and efficiently as Gabe did in stabilizing Duane’s condition, getting him into an ambulance and admitting him to Pomona Valley Hospital. The next few days were nip and tuck for Duane. He suffered at least two more serious heart attacks, developed pneumonia and lay at death’s door, with Gabe in round-the-clock attendance. At one point Doris called me and said, “It’s all over. Duane is not expected to survive the night.” But he did and after a couple of weeks was sitting up and telling Bob and me how we should develop the next set of lectures for Physics 23. Unfortunately, Duane was never able to return to teaching although he did live for another six years, during which time he wrote extensively on the revision of his introductory textbook. Bob and I took over the freshman lectures, ran the freshman lab and also managed to give Tom a hand in teaching the sophomore courses and labs. Needless to say, it was a busy time for the three of us. I did manage to hire a lab technician, Paul Hsu, who worked for HMC a couple of years before leaving to start a very successful restaurant, “The Phoenix,” in Montclair. 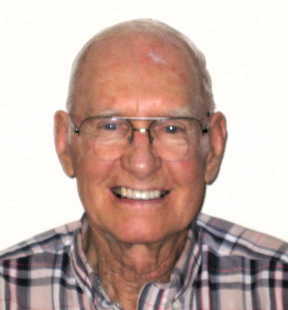 Paul was replaced by Bill Hoesen, who served as our lab technician for many years. The Ph. 51 lectures and Ph. 53 labs were held in Baxter Hall, a science building that still stands on Scripps property just south of the large concrete building that is now called the Florence Lang Art Studios. (On the HMC campus at that time we had only a swimming pool and one dormitory, West Dorm.) Tom was not especially exciting as a lecturer but the students soon learned to pay close attention to everything he said. That was because of his “No safety in numbers” philosophy. His way of grading became obvious soon after Tom gave his first mid-term exam, which over half the class flunked. When the class complained that the test was too hard, as evidenced by the high percentage of low grades, Tom reminded them that he had been giving that exam for over 40 years and he knew exactly where to draw the failure line. “There will be no safety in numbers in this class or in any other physics course that I teach,” he announced. To the faculty Tom was best known for his laboratory and demonstration apparatus. We still had no shop, as I told Tom when I visited him in Washington, so he brought along his own tools and a variety of materials that he had accumulated over his many years of teaching. He even ordered a miniature lathe so that he could turn out parts for his favorite demonstrations. To this day we still use his experiment, “Magnetic Fields and an Absolute Determination of Current,” in which the students make an absolute determination of current using only a magnet, meter stick and timer. Because of Duane’s loss to the department, that was a rather tough year but we managed to squeak by. The student body took some severe losses too. A third of the original class and over 50% of the sophomore class dropped out for various reasons but among the survivors were some of the best students I ever taught. Meanwhile, Joe was scouring the bushes for someone to come in as department chair. In the spring of 1959 he succeeded in getting Al Focke to leave the Navy and come to HMC as chairman of the physics department. Al’s many years of experience in administration were just what the department needed at that time. He was able to organize the many facets of staffing, budgeting and operating a growing department so that the rest of us could concentrate on the job of teaching. He hired that year John Merrill, a most capable young Ph.D. physicist whom we hoped would become a full-time member of the department. John, however, had his eye on other employment and left after a couple of years to teach at Utah State. Al’s success in getting more help in the department meant that I could start thinking about how I was going to do some research in Claremont. When I left Caltech in the fall of 1957 I was allowed to keep keys to Bridge Lab and Bob King’s f-value laboratory and I continued to work there whenever possible. However, it was mostly in the summer that I got anything done. I commuted to Caltech almost every day during the summer months of 1958 and 1959, thus managing to keep my atomic beam apparatus turning out data that I could analyze at HMC. However, it was obvious that such an arrangement was not going to accomplish much for either Caltech or HMC. In a ride over to Pasadena with Joe Platt one day I brought up this topic and we discussed various possibilities. I wanted to get into a new line of research but Joe pointed out the advantages of further f-value research since I had such good connections at Caltech. When I discussed this with Bob Ward he too thought that f-value work would fit in well at HMC. His own Ph.D. thesis had been in an area of nuclear physics that he did not think would be easy to establish at a small college. I asked him if he had any interest in collaborating with me on a spectroscopic project and he jumped at the idea. Together we talked with several people about what we might do and soon concluded that another atomic beam set-up could be constructed at HMC with many improvements over the one I had helped build at Caltech. Our biggest change would come in the method of measuring the absolute strengths of spectral lines. Rather than continuing to use photographic plates as Prof King had always done, we designed, with some help from Jim Monson, an electronic detector that used photomultiplier tubes and a lock-in amplifier. Lock-in amplifiers were not on the market as they are now so we had to design our own. With this much work behind us we wrote an NSF proposal, crossed our fingers and waited. In the summer of 1960 a grant came through and thus began HMC’s first experimental physics project. Over many following years, that work continued to receive NSF support, involved quite a few HMC physics majors and led to a number of publications, one of which appeared in the Proceedings of the Royal Society with Greg Lyzenga as co-author. Al Focke also helped to get research going in the physics department by bringing with him a couple of seismometers that he had used while in the navy. That was the beginning of a very successful geophysics program that continues to this day under Greg’s supervision. During the academic year of 1960-61 we got some valuable help from Al Baez, who had moved to Claremont from Stanford to test out his “spiral approach” in teaching and textbook writing. He planned to stay in Claremont for an extended period but when UNESCO made him an offer that he could not afford to turn down, he left for Paris. Thus, we lost what could have been the most famous member of our faculty family, not Al but his daughter Joan who was just beginning her career as a folk singer. Without doubt one of the most fortunate events in the early history of HMC’s physics department occurred in the spring of 1960 when Ted Stoddard decided it was time to leave industry and take up teaching. The process of hiring was very different in those days. Ted initiated a contact with HMC and Al invited him to Claremont for a meeting. Following a lunch with the department, several hours of talk as a group of us walked around the campus and a brief meeting with Joe, Ted took off for his home in Whittier. Later that day, Al took me aside and asked what I thought. “Hire him,” I said. Al broke out in a big smile and said, “I was hoping you would say that because Joe and I have already decided to make him an offer.” Al often referred to Ted as our “walk on” star because at the time of his initial contact we had not yet made any announcement of an opening. By the fall of 1960 we had a full, four-year student body at HMC and a senior class that included six physics majors. The junior year had gone pretty well for those majors but now for the first time we had to offer some research opportunities as well as senior courses, all on top of the larger than ever introductory classes! Once again we needed help. Al solved that problem by inviting two engineers, Harry Williams and Sedat Serdengecti, to temporarily join the physics department. These two Caltech graduates had been recruited for our engineering department but were not yet fully utilized there because that department was just getting started. Without the help of Harry and Sedat we might well have gone under during the 1960-61 academic year. By the time the founding class graduated in 1961 we had had a year in the new Science Building, as it was called, and the physics department had spread out all over the first floor of what is now Jacobs. With Joe’s help, Bob and I had acquired a 3-meter spectrograph from Baird-Atomic and our atomic beam apparatus was up and running. The top student of the class, a physics major named Bob Ashenfelter, was readily admitted to Caltech where he got his Ph.D. under Bob King, measuring absolute f-values, and then went on to Bell Labs where he is still employed. The junior physics majors were also a strong group and that was fortunate because Al used to feel something was very wrong if the physics majors did not rank at the top of each senior class. I agreed with this but I was concerned at the time that we were not getting the faculty that we needed to establish a department of excellence. I felt we needed more teachers of Ted’s caliber. Bob Ward had decided that, because of personal problems, he should move back east at the end of the 1961-62 year and, in my opinion, that was going to leave a serious gap in the ranks of our younger faculty. I recall being quite concerned about this but Al seemed confident in being able to recruit more physicists, which he did. 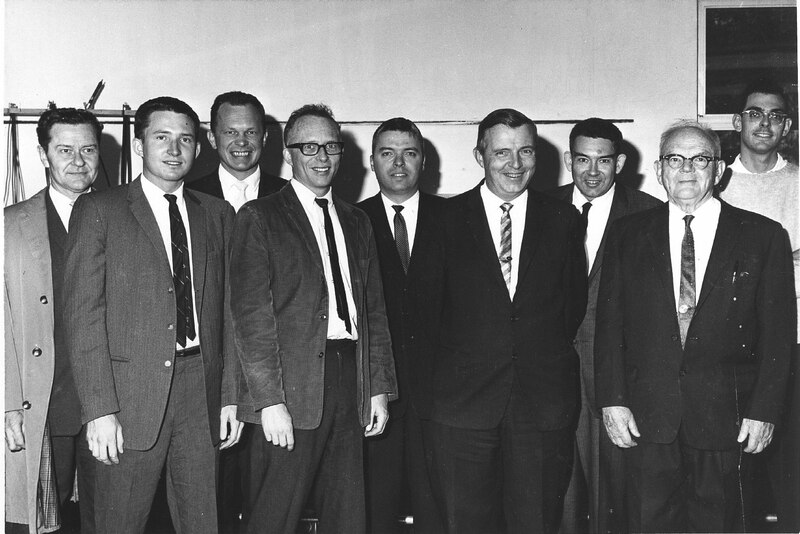 In the fall of 1961 Al added three more physicists to the department: Enos Wicher, Jack Waggoner and Ben Robertson. Enos applied from Mexico City, where he spent eight years as head of the science and engineering department at the University of the Americas, and was a very active member of our department until his retirement in 1975. He took over one year as acting chair during Al Focke’s leave and was the first Director of the Freshman Division. His competence as a champion chess player is still remembered by those who dared to challenge him to a match. Jack came to us from the University of Riverside and served the department in a variety of capacities until his retirement in 1994. Ben Robertson, who had retired from the military while still in his active years, was not tenured but helped out, especially in our laboratories, for about eight years. Arnold Ruskin joined Harry and Sedat on the list of engineers who taught physics while sharing time between the two departments. In June of 1962 we suffered another shock when Tom Brown died in his sleep while on a trip in northern California, just a week after turning in his grades for that spring semester. In recognition of the important work he had done in those early years of the college we established the “Brown Award,” the oldest of our awards given each year to a graduating physics major. Thus, with Tom’s death and Bob Ward’s departure later that summer we were again left short handed. Fortunately, Joe was well aware of this and had his eye on an up and coming theoretical physicist, Tom Helliwell, whom he had known while Tom was an undergraduate at Pomona College. Tom had done some theoretical work in meson physics for Joe while still an undergraduate and Joe had been much impressed by his grasp of physics even at that stage. By 1962 Tom was finishing up his doctorate at Caltech when Joe arranged a meeting with him during an APS meeting on the UCLA campus. The point of that talk was to see if Tom would consider teaching at HMC the following fall and, as far as I am concerned, Tom’s agreement to do so was the best thing that ever happened to the HMC physics department. As we all know, Tom’s many contributions to HMC have been distinguished. For some time he has held the Burton Bettingen endowed chair and in 1997 he was selected as the winner of the Henry T. Mudd prize for outstanding service to the college. One of my first memories of Tom was his telling about the difficulty he had in checking out a book at Honnold because he did not have a student ID card. In those days he put in some very long hours writing his textbook on Einstein’s theory of relativity while carrying a full load of teaching and research. How he happened to write that book is an interesting story that I heard only recently. In 1962 we hired Eldred Tubbs and Ray Edwards. Eldred was hired in the spring so that he could work with me on the f-value project before I left on my first sabbatical in 1963. He was with us until 1978 when he switched to JPL where he is still working today. His skills in optics and electronics were of immeasurable value to the department, both in research and teaching. “Pop” Edwards was with us for three years and served us well during that time. Like Duane Roller and Tom Brown he had had an illustrious career in physics before coming to Claremont. He also held the Oersted Medal for outstanding teaching and at the time of his death in 1969 was said to have provided undergraduate training for more of the nation’s PhDs in physics than any other professor in the country. By the summer of 1963 Eldred was well integrated into the f-value program so I knew that I was leaving it in good hands. Tom and Ted were showing the rest of us how to lecture but it was still a struggle to make our lab courses first rate learning experiences. Fortunately, Sandy Sandmann and Bob Wolf arrived in late summer of 1963 and brought with them the skills and energy needed for that task. Sandy was especially good at setting up and running introductory labs and also played a role in revising the senior lab. For research he switched fields from nuclear physics to astronomy and over the course of the next twenty years turned out numerous budding astronomers. At one point he moved into administration as assistant dean and oversaw the design and construction of the Libra complex. It is thanks to him that we have the machine shop facilities that we have today. Bob came in under a unique NSF program that unfortunately lasted only a couple of years. During one of my visits to the NSF offices in Washington, D.C., I heard about a trial balloon that one of the NSF directors whom I knew was pushing. He felt that teachers in small colleges needed help in getting research programs under way while faced with the daunting job of teaching new courses. So he proposed that newly appointed physics faculty be given NSF grants to pay for released time while getting their research started. Also in this program, the graduate institutions where the new teachers had just received their Ph.D.’s would agree to let the candidates take to the small colleges the equipment that they had developed. When I returned to Claremont and told Al about this program, we agreed that Bob, who was just finishing up his Ph.D. work at MIT and had accepted an offer to come to HMC, might qualify for such a grant. Al contacted MIT to see if they would enter into the agreement concerning equipment and I talked with Bob about it. The three parties (HMC, MIT and Bob) then submitted a proposal to the NSF and landed one of the few grants made under this program. Thus Bob came in the fall of 1963 with a third of his salary paid by the NSF for three years and with enough of his cryogenic equipment shipped out from Boston at NSF expense to get an excellent research program up and going in two years. So with the department in what I thought was quite good shape I took off in the summer of 1963 for a year’s sabbatical at the Bureau of Standards where I carried out a research project using wall stabilized arcs to measure relative f-values. When I returned in the fall of 1964 I found that we had graduated 12 physics majors that June. Two years later that number climbed into the twenties! The size of the physics faculty remained quite constant over this time but we were now turning out more undergraduate physics majors than many large universities. We were also beginning to be recognized as an outstanding undergraduate department and we attracted a number of well-known visitors. For example, when Edward Teller started his program of giving lucrative Hertz fellowships to students who would go into graduate programs somewhat of his choosing, including the one at Livermore, he picked HMC as one of his places to visit each year. George Gamow, who was known well by Tom Brown, came for a visit and gave a lecture on one of his “far-out” theories of cosmology, the cosmological background radiation. I got Alan Sandage whom I had known well at Caltech to come on several occasions to give colloquium talks and Feynman continued to come to HMC for his “mini-lecture talks” (with no advertising and no questions from the faculty) almost up to the time of his death. For me those first half dozen years were exciting ones and formed the base for what I think has always been HMC’s best department. Others may take issue with that but just look at where we are today. We have a physics faculty that is outstanding and I have just learned from John that at least three seniors in this year’s (1999) class scored 990 on the GRE exam! Those who are teaching physics at HMC now must be doing something right, very right, and that makes me proud to still have my shingle hanging outside an HMC physics office.